SACRAMENTO, Calif. (CN) – The nation’s largest cities are lining up in support of California’s sanctuary policies, choosing sides in the growing fight over immigration between the Trump administration and the Golden State. One month before a critical hearing scheduled in federal court, nearly 50 cities across California and the country on Friday filed proposed friend-of-the court briefs supporting the state in its fight against a lawsuit brought by U.S. Attorney General Jeff Sessions. The Trump administration claims three recent state immigration laws impede federal immigration agents and slow down deportation efforts. It argues the laws violate the Supremacy Clause which bars states from passing laws that openly contradict federal policy. Cities including Los Angeles, San Francisco, San Diego, Oakland, San Jose, Sacramento and Berkeley are asking U.S. District Judge John Mendez to file supporting briefs. The cities all have large undocumented immigrant populations and say the new state laws don’t hamper public safety but rather encourage communication between law enforcement and immigrant communities. “Plaintiff’s suit improperly attempts to disrupt the careful balance of state and federal powers prescribed by the Constitution,” the cities’ motion states. 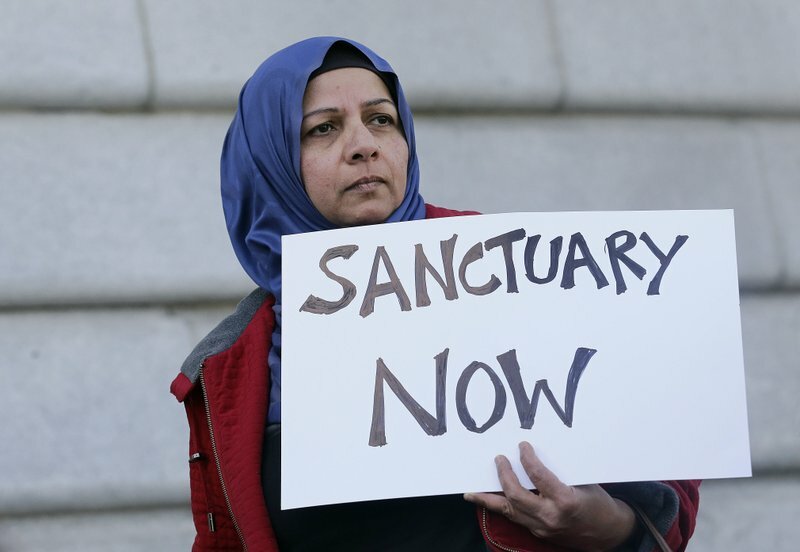 A flood of cities outside California filed late Friday also in support of the sanctuary laws. New York, Chicago, Minneapolis, Seattle, Portland, Pittsburgh, Philadelphia and Denver are asking to file supporting briefs against the lawsuit. Trump is targeting the signature piece of a sweeping 2017 package of bills that increased protections for undocumented immigrants. Known as the Sanctuary State law, SB 54 prohibits state and local law enforcement from cooperating with immigration agents without a court order and creates safe zones around schools, courts and hospitals. Mendez, a George W. Bush appointee, has already allowed several California cities and more than a dozen Republican-led states to file briefs in support of the Trump administration’s lawsuit. California Attorney General Xavier Becerra moved to dismiss the lawsuit earlier this month. Becerra claims the state’s laws were crafted to comply with the Constitution and are protected by the 10th Amendment. A hearing on the Trump administration’s motion for preliminary injunction and California’s motion to dismiss are scheduled for June 20 in Sacramento.